Saving money doesn't have to be a burden. It also doesn't mean you need to stop spending your money completely. Savings and spending is not an "either or" proposition. Instead, being smart with your money means you spend it well so you can save it wisely. Joseph J.A. Quijano, CFP®, CDFA® is a Certified Financial Planner and a national financial educator. 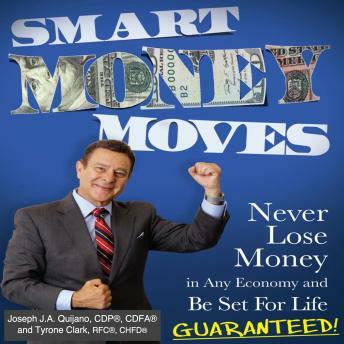 Mr. Quijano has a strong passion for protecting his client's money against loses. With over 40 years of successful experience, he has helped thousands of individuals achieve financial security. He can do the same for you.